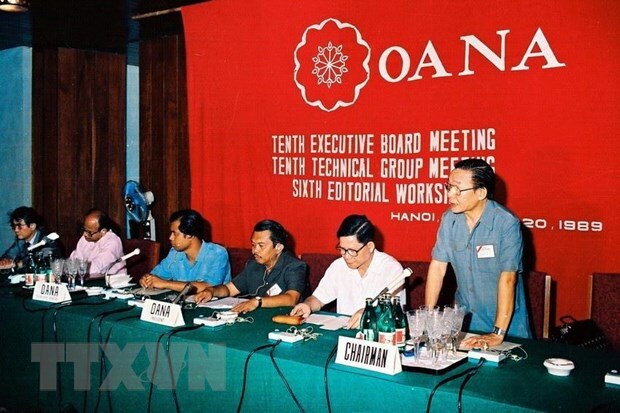 At this meeting from April 18 to 20, the OANA executive board will mainly focus on three contents, which are strategies of news agencies in response to changes in information use behaviors with a shift to video clips and YouTube; fake news and fact-checking; and regaining trust for traditional newspapers, the Vietnam News Agency reported. Every three years, the organization elects an executive board including 13 member news agencies out of 44 ones. Currently the Vietnamese News Agency is a member of the OANA executive board for the 2016-2019 tenure, while the chair news agency is the Azerbaijan State News Agency Azertac. Every year, a different news agency member of the executive board will act as the chair news agency. OANA meetings are opportunities for the news agencies in the region to share their experience in organizing and expanding, how to follow the latest development trends of other media agencies in the world, and further cooperation among member agencies. The Organization of Asia-Pacific News Agencies (OANA) is an association of news agencies from UNESCO member states in the Asia-Pacific region. Since its establishment in 1961 in Thailand, as an initiative of the United Nations Educational, Scientific and Cultural Organization (UNESCO), OANA has brought together 44 news agencies from 35 countries, noting that OANA members are responsible for two-thirds of information circulated throughout the world. Every day, members of the organization publish around 200 news articles, photo news items, and videos on the OANA website.